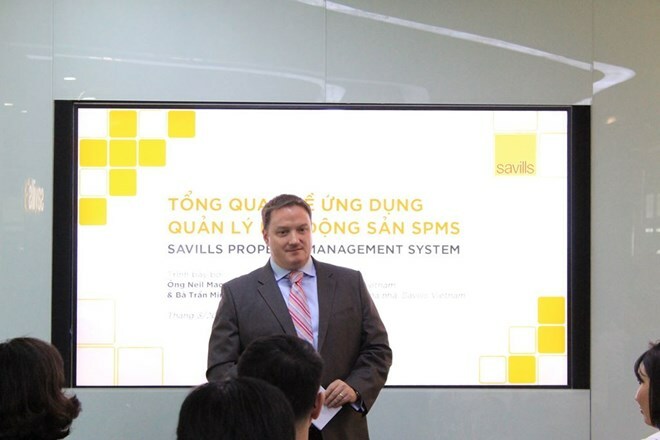 HCM City (VNA) – Property consultancy Savills Vietnam on March 28 launched the Savills Property Management System (SPMS), which provides a new technology platform connecting property investors and house-buyers. Developed by experienced experts of Savills, the system is expected to improve management standards and meet residents’ demands, as well as ensure smooth operation of realtor projects. At the launch event in Ho Chi Minh City, General Director of Savills Vietnam Neil MacGregor said the SPMS will open up a new door for technology application in the real estate sector, and property management in particular. It is a user-friendly system with mobile and website interfaces, allowing users to pay bills and make their bookings to use services offered in the projects with simple steps. The SPMS has currently been integrated in some projects of Savills Vietnam in HCM City, Hanoi and Da Nang.